The five member Planning Commission is responsible for undertaking a continuing planning program for the physical, social, and economic growth, development, and redevelopment of the city. The plans and programs will be designed to promote public health, safety, morals, convenience, prosperity, and general welfare, as well as the efficiency and economy of the city. The Planning Commission prepares and recommends for adoption to city council a zoning ordinance, including a zoning map, regulations for subdivision and development of land, a landscaping ordinance, a capital improvements plan, and other policies, procedures, or regulations to facilitate the implementation of planning elements. The commission also makes recommendations on various requests such as annexations and rezonings. The commission meets at 5:30p.m. on the last Tuesday of each month to review applications. 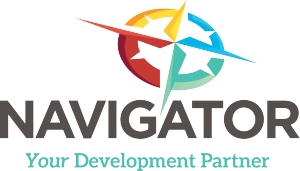 Applications for Planning Commission review can be obtained from and complete applications must be submitted to the Business Navigator by mail at P.O. Drawer 2497, Hartsville, SC 29551 or in person at 100 East Carolina Avenue two weeks prior to the monthly meeting. An incomplete submission will not be accepted. A submission is only considered when it includes a completed application, plans, plats, calculations, application fee, and other necessary supporting information as applicable. Planning Commission meetings are public meetings and citizens are encouraged to attend. Application fees: Varies according to the project being proposed. The Planning Commission generally meets on the last Monday of each month. Meetings start at 5:30p.m. and are held in Council Chambers at City Hall, 100 East Carolina Avenue. City Hall is an accessible facility, for assistance call 843-383-3018. See the City’s Annual Notice for a full schedule of meetings on the Meetings, Minutes, and Resolutions page.